Enter your email address below to receive a notification when Genius Box starts accepting new sign-ups! Enter your email address below to receive a notification when Genius Box is accepting new sign-ups again. We ship within 3 business days of your order being placed! Renewing? Your order will ship around the same time each month that your first box was shipped. 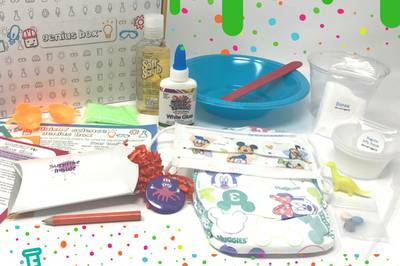 Our business is small yet growing-- all orders are packed & shipped by us! Hands-on STEM adventures delivered right to you! Ever make Mentos + Diet Coke explosions as a kid? So did we! Our goal: Empower the change-makers & problem-solvers of tomorrow, today. 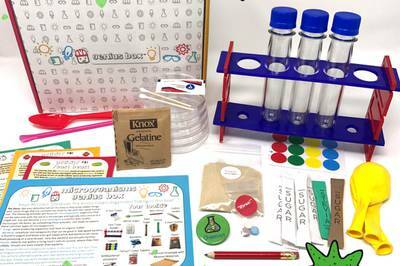 Explore a new STEM topic with 3+ hands-on activities delivered each month. 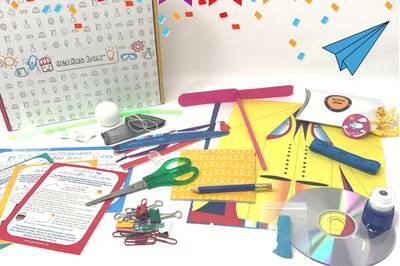 All the materials are included to foster curiosity and a passion for science, technology, engineering, and math in a fun and engaging way. Building curiosity for and exposure to STEM at a young age! 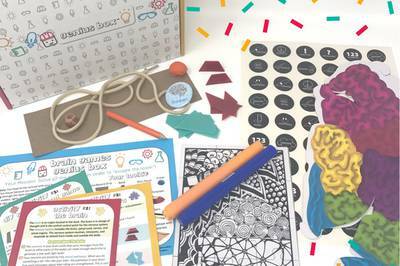 This box is filled with multiple activities that all work together to teach a theme. I ordered it for my 4 year old and it was a little to advanced for her. It requires understanding of about a 2nd grader.